The days of great companies, products and services naturally finding their markets are long gone. The advent of social connectivity means consumers are shaping strategies and influencing brands like never before. Old notions of demand are out. Experiences--good, bad or indifferent--count for everything. The importance of innovation isn't just the development of brilliant ideas, products or services. How business infrastructures evolve to support them is also mission critical. Modern theories of business management and product development cycles are suddenly old and dusty. The new leaders not only understand the influence of social media on their business, they also embrace it, even exploit it, to succeed. They adapt their strategies to fit how customers move, think and decide. In this special report, Entrepreneur profiles three of today's most innovative thinkers who share a vision for a radically different customer experience and a more fulfilled social consumer. Their ambition and ingenuity demonstrate how the business leaders of the social age are rewriting business theory. To Dennis Crowley, customer engagement is all a game--and has been for a decade. Crowley advocated the concept of geo-location for social networks and the idea of using mobile technology to "check in" at physical locations in 2000, before Twitter and even Facebook enchanted the world with their approach to social networking. That year, Crowley and his New York University classmate Alex Rainert co-founded Dodgeball to turn mobile devices into platforms where users could text their location to reveal friends, friends of friends and interesting venues nearby. At the time, Crowley was an analyst at JupiterResearch in New York and Dodgeball was his thesis project at NYU's Interactive Telecommunications Program. The platform generated significant underground buzz and caught the attention of Google, which acquired the startup and its founding team in 2005. But Dodgeball was unable to engage day-to-day mobile users. Crowley left Google in 2007, and Google officially deflated Dodgeball in February 2009. Ahead of its time, Dodgeball revealed a new kind of social network. Early on, Crowley introduced a working archetype for consumer empowerment and customer engagement. He also created a channel where customers develop a community around each business. 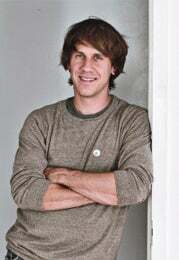 In March 2009, Crowley and software developer Naveen Selvadurai founded Foursquare, a kind of Dodgeball 2.0. "The inspiration behind Dodgeball was based on the idea of carrying a map in your pocket that shows everything about where your friends are and where they're going," Crowley says. "With Foursquare, the question now was 'If you have this map, how can you crowdsource everything a city has to offer--taking the experiences of your friends in an offline world and bring them online so other people can discover them?'" The Foursquare experience starts when users check in to a location via a mobile phone using the free Foursquare app. Users share their location with friends and see who's nearby. Foursquare players "shout" out to one another to share experiences and observations. Check-ins and shouts can also link to Twitter and Facebook. Foursquare's reward system coaxes active and deeper participation from users, who earn points for actions like check-ins. Players receive badges for checking in to locations and earn the title of mayor if they check in to an establishment more than anyone else. Foursquare's innovation is addictive. In its first year, the app attracted 1 million users. In just a year and a half, Foursquare skyrocketed to nearly 4 million users, with more than 20,000 new users checking in every day. It also made the act of checking in ubiquitous, as competitive social services like Yelp, Gowalla and even Facebook also offered users the ability to check in to places within their respective networks. Foursquare redefined the role of the patron and the relationship between businesses and customers. "The network started to take on a life of its own," Crowley says. "Foursquare gave everyday people, venues and local merchants a voice. It opened the doors for businesses to see a whole new way of seeing their customer." And with people earning points, leaving tips, winning mayorships or simply checking in, business owners became aware of a vibrant and still-growing customer base that now expects their participation and attention. Essentially, Crowley handed business owners the keys to open the doors to social media and fresh opportunities. "Foursquare is about improving relationships, making cities easier and more fascinating to experience," Crowley says, "and making the world a more interesting place to explore." Maybe you have to have helped conceive Twitter to be bold enough to take on a change-resistant industry like the financial sector. 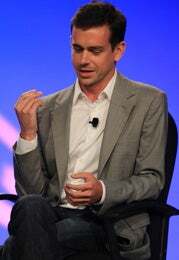 That's what Jack Dorsey, a co-founder of the ubiquitous 140-character phenom, is doing with his newest endeavor, Square. It aims to transform any mobile device into a credit card reader, allowing any business to accept credit cards and process transactions in less than 10 seconds. Dorsey's simple vision is to make payment systems more accessible. "The financial world has long been missing immediacy, transparency and approachability," he says. "This is what's needed now." Systems that streamline and report have always interested Dorsey. Before Twitter, he developed dispatch software to track ambulances and taxis. That concept evolved to people: He wanted to better understand where his friends were and what they were doing. He wanted to capture and share experiences in the moment--thus the birth of the tweet. "Twitter is about simplicity," Dorsey says. "The constraint of 140 characters is easy to approach and consume, without a great deal of barriers to entry. One message and suddenly the whole world has access to that tweet." Like Twitter, the innovation of Square is also simple. Dorsey's partner and Square co-founder, Jim McKelvey, is an accomplished glass artist. But McKelvey could not accept credit cards because of the complexity and cost, and he was unable to sell his work to as broad of an audience. So Dorsey worked on developing a solution for people who run businesses of varying sizes and scopes. He looked to Apple's in-store payment network, which allowed customers to swipe a card right at the moment of decision rather than be forced to stand in line behind a cash register. Square's product is the size and shape of a sugar cube and features a small opening that can read a card when it is swiped. The cube includes a plug that resembles one from a regular pair of headphones and plugs directly into the headphone jack of a mobile device or tablet computer. Combined with the Square software app, smartphones and iPads become mini card-processing centers. Quick and easy payments are just the beginning. Dorsey and the Square team foresee them as catalysts for social interactions. "When you get home, the receipt could serve as an ingredient list to discover the blends that went into your espresso, to see how many times you've been to that particular location, used a loyalty or rewards system, click into a merchant's Twitter or website, forward the receipt for expenses," Dorsey says, "and see, through a beautiful visual, where the transaction took place." 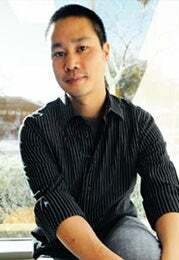 To Tony Hsieh, it doesn't really matter what's being sold. What matters is the experience of selling it--and, of course, the customer's experience of buying it. Hsieh, CEO of online shoe store/e-commerce powerhouse Zappos, believes that experience is as important for the employee as it is for the customer. So for the 10 years, he has devoted himself to fostering a company culture that would produce a new standard of customer satisfaction. "We never really paid much attention to what other companies were doing," Hsieh says. "We never knew that the decisions we made were in direct contrast to those of our competitors." For customers, the Zappos experience is about being with Zappos from the get-go. The company keeps its own inventory so that it can control the order and fulfillment process end to end. Customer service representatives are renowned for going out of the way for customers--even referring them to competitors if Zappos doesn't have a particular shoe in their size, Hsieh says. For employees, it's about development. Zappos offers more than 40 classes to help boost morale and career advancement. Employees are evaluated regularly for promotion, about every six months. It's all part of what Hsieh calls "the science of happiness." "Customer service is about making customers happy. Company culture is about making employees happy," he says. "So let's just simplify it and, at the same time, amplify our vision for our customers, employees, vendors and peers." It works. The e-tailer hit the $1 billion revenue mark by 2008 and ended 2009 with $1.2 billion in sales. Amazon acquired the company in a deal that ultimately was valued at $1.2 billion when it closed in November 2009. Zappos also seeks to spread its happiness externally, sharing its culture and service to help other companies to reinvent their businesses. Its Insights program offers immersion workshops on happiness, culture and service. Zappos created a workforce that is not only happy but also evangelical, thanks to social networks like Facebook and Twitter that pervasively communicate the company's mission, purpose and culture. At last count, 499 Zappos employees of more than 2,400 employees use Twitter, including Hsieh, who himself has 1.7 million followers. "Your culture is your brand," he says. "Customer service shouldn't just be a department--it should be the entire company." -- Brian Solis is principal of the new media marketing firm FutureWorks and author of Engage! He blogs at briansolis.com.